REMAINERS are desperate folk who do not know when to give up. They certainly do not accept the result of a democratic vote, trying to find any kind of excuse and fault to invalidate it. This is surprising, as they are usually so defensive when it comes to civil rights, including the right for a democratic vote to be accepted, but clearly only if it goes their way. Their desperation includes the way in which they relate every adverse economic or social event to Brexit. This is most strongly in evidence when there is news about companies moving their businesses offshore. A recent example is the announcement by one of the UK’s biggest personal taxpayers, Sir James Dyson, that he is moving his business HQ to Singapore. However, the opprobium heaped on him exposes the flaw in the reasoning of the Remainers. Sir James is not moving to another EU country, so this cannot fit the Remainer narrative. Any Remainer who uses Dyson’s move as a way to negate the largest democratic vote in British history is a fantasist. Since no vocal Remainer is stating otherwise, the implication is that the fantasist mindset is widespread amongst the followers of the Church of Brussels. There is a more compelling reason why businesses would make the decision to leave the country. It is the possibility of a Corbyn government. It is no secret that Labour plan to nationalise private businesses, and not just the privatised utilities. Corbynites and their fellow-travellers have also been wargaming the reactions to their policies. Since businesses will probably resist state appropriation of private property, it is likely that this resistance will be in the form of moving assets beyond the reach of a Corbyn government. The most obvious reaction of John McDonnell would be to put in place statutory barriers to such a flight of capital and assets. This measure would not figure in any Labour manifesto. Bu it is still obvious that it would happen. There are precedents. Just four days after New Labour’s landslide election victory in May 1997, Gordon Brown announced that the Bank of England would become independent from political control. This move, which had long been suggested by politicians of all hues, did not appear in the Labour manifesto. The lifting of exchange controls in the UK, forty years after they were imposed, and five months into Mrs Thatcher’s 1979 government, was also a surprise. Voters were were not informed of either measure, of monumental importance to the running of the UK economy, before they went to the polling station. Restrictions on capital flight are the most predictable measure a Corbyn government could impose on the British economy. 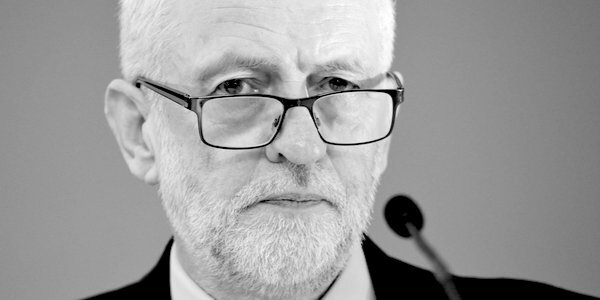 It is not unreasonable that some large businesses might therefore be willing to spend large sums of money on private polling to determine how likely a Corbyn government is likely to be elected, assuming that this Parliament runs a full term. As this prospect seems less likely, it is possible that the country might at any time in the next three years be little more than two months away from a monetary iron curtain coming down. So if a trickle of businesses becomes a flow, it could have less to do with Brexit, and more to do with Corbyn. Perhaps Mrs May will experience a rise in her stock after March 29, following the successful conclusion of a deal from a humbled Brussels, but given the bad faith exhibited by the Euro-totalitarians over the past two years, this seems unlikely. Businesses might have concluded that Corbyn will be the best beneficiary from Brexit, and are taking appropriate steps. However, it is not Brexit they fear, but Corbyn.